Spanish Classes | Who Owns the Spanish Language? 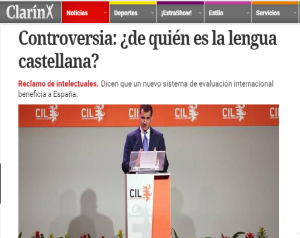 The Argentine newspaper “Clarín” published an article on April 15th, titled Controversia: ¿de quien es la lengua castellana? (Controversy: The Spanish Language Belongs to Whom?). The article by Mauro Libertella relates how the newly minted SIELE Spanish proficiency exam is ruffling feathers in Argentina, where some academics fear the new exam will give Spain a privileged position to establish the norms of the Spanish language. To understand what the fuss is about, you need to understand that the creators of the SIELE exam plan to make it the most widely used Spanish proficiency exam in the world, and if they succeed, the exam will have a great deal of reach and influence, since it will be used by universities in Spanish speaking countries to vet foreign applicants, and by Spanish faculties in universities all around the world to measure the Spanish level of students applying to their programs. In all likelihood, the exam will also be used by global corporations who want to check language skills of potential employees, and even government immigration agencies in Spanish-speaking countries which need a fast, reliable way to check and see whether newcomers applying for citizenship meet the countries language requirements. In other words, the potential market for the exam is huge, and the promoters of the test estimate that within only a few years 700,000 people a year will pay approximately US$150 each to sit the test. With these numbers, the SIELE exam should easily generate more than 100 million dollars in revenue annually in testing fees alone, not to mention the sale of peripherals, such as books used to prepare for the test. 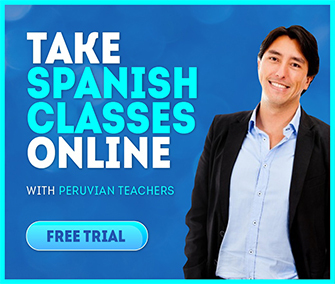 As a brand, it is poised to become as important to Spanish as the TOEFL test is to English. The footprint could to be huge. The owners of the exam are the Instituto Cervantes, which is the branch of the Spanish government entrusted with promoting the Spanish language and culture worldwide, the Universidad de Salamanca, also located in Spain, the Universidad Autónoma de Mexico, and the Universidad de Buenos Aires, located in Argentina. All four institutions stand to earn a lot of money if this exam becomes as popular as they hope. But the fuss is not about who gets the money, it is about the risk of having an influential, global exam that determines the “right way” and the “wrong way” to use Spanish. It is a fact that Spanish is spoken by more than 400 million native speakers spread around the world, and because of its geographic spread, Spanish has developed a number of regional variations – and according to the article – Argentine academics such as José Luis Moure, director of the Academia de Letras de Argentina, and Jorge Fondebrider, the founder of the Club de Traductores Literario de Buenos Aires (Literary Translators Club of Buenos Aires), worry that the agreement behind the SIELE will leave Spain with “absolute hegemony when deciding what is correct Spanish”. 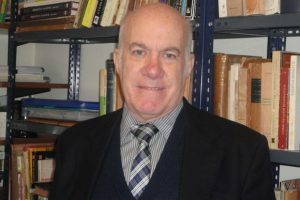 José Luis Moure, President of “La Academia Argentina de Letras”. Frankly, I don’t share the concern for two reasons. In the first place, the driving force behind the creation of the SIELE is the director of the Instituto Cervantes Victor García de la Concha, an academic who has gone out of his way to stress the pan-Hispanic attributes of the test – and a simple perusal of the SIELE demo exam provided online proves that regional forms and accents are incorporated throughout the exam. García de la Concha speaks publicly and eloquently about how “Spanish belongs, equally to all who speak it; rich, poor, whites, blacks, mulatos – everyone equal”. So, as far as I can tell, García de la Concha and other founding members have a commitment to the concept of an inclusive test that does not discriminate. Of course, no language exam can ever be a perfect match for all, but the fact that the team behind the exam incorporates universities located not only in Spain, but also in Mexico and Argentina, seems like a good start. The SIELE exam will no doubt leave a few victims in its wake, including the Instituto Cervantes own DELE exam, which is bound to lose ground to the SIELE, thanks to the fact that the new exam does not require the physical presence of trained testing personnel, a big limitation and operational cost burdening the DELE. (See: SIELE vs. DELE) But Argentina’s own Spanish proficiency exam, the Certificado de Español Lengua y Uso (Certificate of Spanish Language and Use). This exam, launched in 2004, is backed by the Argentine Ministries of Education and Foreign Affairs and according to it’s website, it is the only exam these ministries officially recognize. Seeing as one of the main markets being targeted for the SIELE is Brazil, and Brazilians are one of the largest groups of foreign students studying Spanish in Argentina, some negotiation and compromise will have to take place. From my point of view, while it is a good, useful exam, the CELU will have a hard time competing with the SIELE because of its logistical and practical limitations: the CELU is offered only twice a year, whereas the SIELE can be taken year round and the CELU is limited to candidates with an intermediate or advanced level of Spanish, whereas the SIELE is open to those with a beginner to lower advanced level (A1 to C1, according to the Common European Framework of Reference for Languages). The SIELE is a more complete exam that will be more convenient to sit, and this will put pressure on the CELU exam, withouth a doubt. It will take a few years to see final results, and to judge who are the winners and the losers after the launch of the SIELE, but I suspect that while this new global exam might shake up (and maybe even eat up) some of the competition, it does not pose a threat to the integrity of the Spanish language; quite on the contrary, it will do much to promote its use as a global language, since Spanish educators worldwide will have a new tool: a readily available, and globally accepted, measurement of Spanish proficiency. Click here to learn more about the SIELE exam.